Mailed 2/10/17 to Subscribers. Allow 4-6 weeks for USPS delivery. 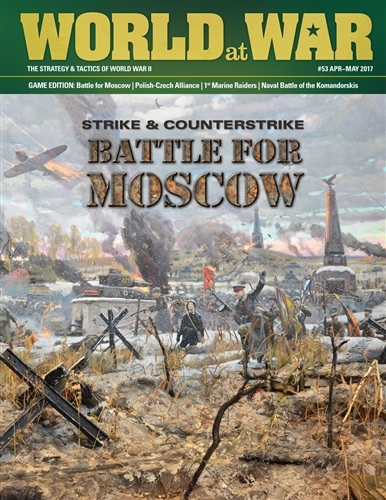 Strike & Counterstrike (SCS) is purpose-designed solitaire wargame that covers the Soviet counteroffensive against German Army Group Center (AGC) from early December 1941 to the end of April 1942. 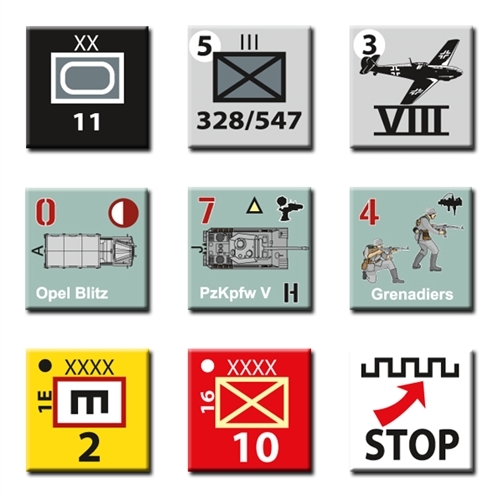 The single player actively commands the Soviet forces, while the rules system directs him in the deployment of the opposing German force. 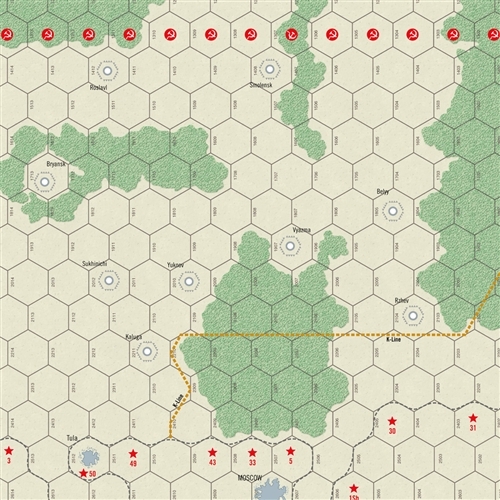 The player wins with the Soviets by seizing control of key territorial objectives. Games may also end in draws or German victories. 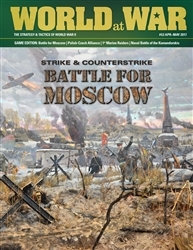 Strike & Counterstrike shares the same system with Rampage, Stalingrad Cauldron, and Panzers East, there are differences in their details of play. That’s due to the differences in the time and space scales in the individual games, as well as the fact I’m always further developing my views in regard to the best particulars for use in Solitaire systems. Play each game in the system according to the specific rules presented for it.